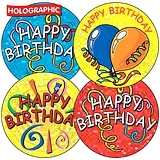 These lovely holographic stickers are ideal for wishing your pupils a Happy Birthday. 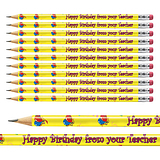 Wearing them on jumpers lets everyone around know it's their birthday too. 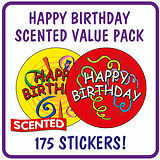 Give these shiny stickers to your pupils, on their birthday, they will love them.